Supply Chain Matters is very pleased to welcome supply chain planning software provider ToolsGroup as our latest Named sponsor. ToolsGroup’s SO99+ application spans product demand forecasting, demand sensing, multi-echelon inventory optimization, and S&OP (sales and operations planning) process needs. As Supply Chain Matters has previously highlighted, ToolsGroup was among the first supply chain planning tools to employ advanced self-learning models augmented by AI and machine learning for autonomous planning. During 2017, ToolsGroup added 44 new customers and 51 extensions to existing customer contracts. Among noted existing and lighthouse customers are American Tire Distributors, Harley-Davidson, Absolut Vodka, Costa Express, Diageo, Danone, Ecolab, Lennox Industries, Michelin, Mitsubishi Electric, , O2 Telefonica and Wayfair.com. 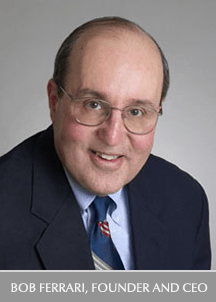 The company’s The Innovator’s Solution blog is top-notch for supply chain planning and forecasting thought leadership which we enjoy reading on a – regular basis and this Editor has previously partnered with ToolsGroup in other thought leadership related to supply chain planning and IoT (Internet of Things) enablement of service management processes. This supply chain planning software provider recently partnered with Microsoft to host its flagship SO99+ software suite entirely on the Microsoft Azure Cloud platform, including leveraging components of Microsoft Cortona AI and Cognitive Computing capabilities. In fact, Microsoft selected SO99+ as the IO solution of choice for the industrial vertical across their global accounts. 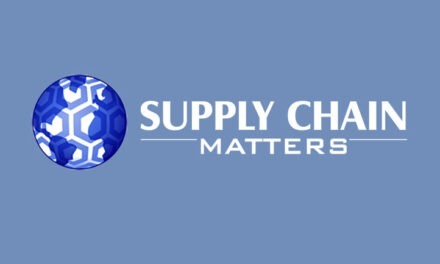 Supply Chain Matters recently highlighted an announcement of supplemental funding from equity firm Accel-KKR to accelerate current market growth. In conjunction with our new partnership, The Ferrari Consulting and Research Group will be developing a series of new Research Advisories highlighting case studies for building the foundations of Digitally-Enabled Response Networks, a capability that was introduced in our 2018 Predictions for Industry and Global Supply Chains research advisory. We defined such response networks as no longer the sole purview of supply chain capability but rather a broader digitally-enabled and extended response network. Such networks leverage multiple demand sensing, IoT, predictive and machine-learning based artificial intelligence enabled technologies to connect the digital with the physical and people assets of the extended multi-functional and multi-business response network across the end-to-end supply chain. The first in this research series will highlight the multi-year transformation of O2, the leading digital telecom communications and retail company in the United Kingdom, the commercial brand of Telefónica UK Limited. Join me in welcoming ToolsGroup as a sponsor of Supply Chain Matters and our platform supply chain management insights and thought leadership. For more information regarding this innovative technology provider, readers are welcomed to click on the ToolsGroup logo appearing on our Named Sponsors panel.